Hello there, well what do you think of the retired list? You are all sending in your orders for those goodies you cannot live without, keep them coming and don't delay once the items are gone that is it, no more ever!! One of the sets retiring is the True Friend stamp set, and while I love the new stuff coming, I will always hold special few in my heart and put it this way, I know this set will stay with me forever he is not getting sold EVER!! 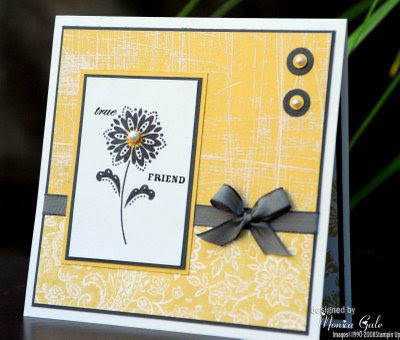 I simply adore the sentiment and so happens that I had to make some cards for 2 very special friends so I set to work. Lovely autumnal colourways although I am not ready to store my Summer shoes away. Ruby Red, More Mustard(I will miss this colour sooo much come 1st Oct.) and Chocolate Chip which is not retiring but the all the ribbons are, there will be no more choc. ribbon from 1st Oct. but do not sweat it because is being replaced by the most stunning brown ever Early Expresso YUMMY. This card took me 5 minutes to put together and when time is the issue that s got to be good. 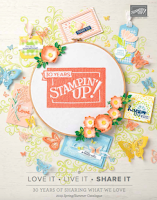 I love back to basics cards, ink, stamp and card, that s all you really need to create a fabulous card in seconds. 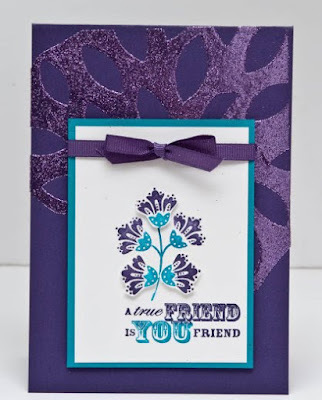 I simply stamped a random background all over the whisper white layer in the three inks described earlier and made the sentiment my focal point along with a flower accent made with our 5 petal flower punch. I got a lot of questions about our punches this week, the punches on the retired list are NOT RETIRING for good they are being changed on to the new flat design the shape and size will stay the same. I punched then split the card in half and stamped on the rough side before curling and layering, a cute button with some curly card threaded through provides extra texture and interest to the centre. I have made two of those one each for both my sweet and TRUE friends I just need to find 5 minutes to try and deliver them. Here are more examples of this set, so pretty. 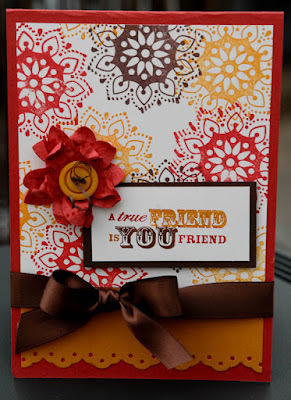 This card was made for another true friend of mine the sweet Claudia for her birthday. 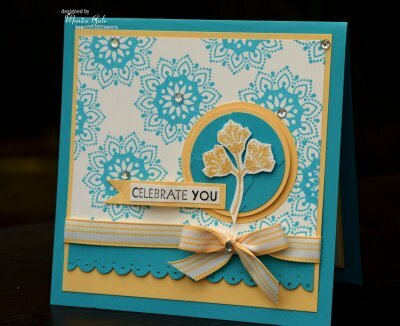 So Saffron and Tempting Turquoise, I just love this card. My next one was made using the fabulous sticky cuts and lovely glitter. Elegant Eggplant and Taken with Teal I will mourn Take with Teal as is retiring . So Saffron, Basic Gray and whisper white. Soo classy and grown up. Lovely cards Mon. No need to miss More Mustard though - it's staying!!! Thanks for the inspiration with this set Monica. I wasn't sure I liked it at first or what I could do with it, but you've shown how versatile it is. 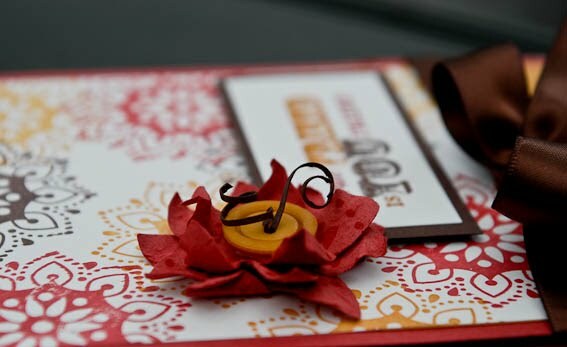 My favourite is the so saffron card, so elegant! These are all gorgeous. I love the olive one the best, although I am not fond of green you put it with my fav colour and it really pops. I also like the last one. 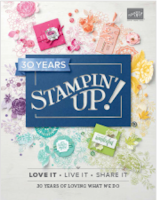 I haven't used this stamp set nearly enough - must have a go. 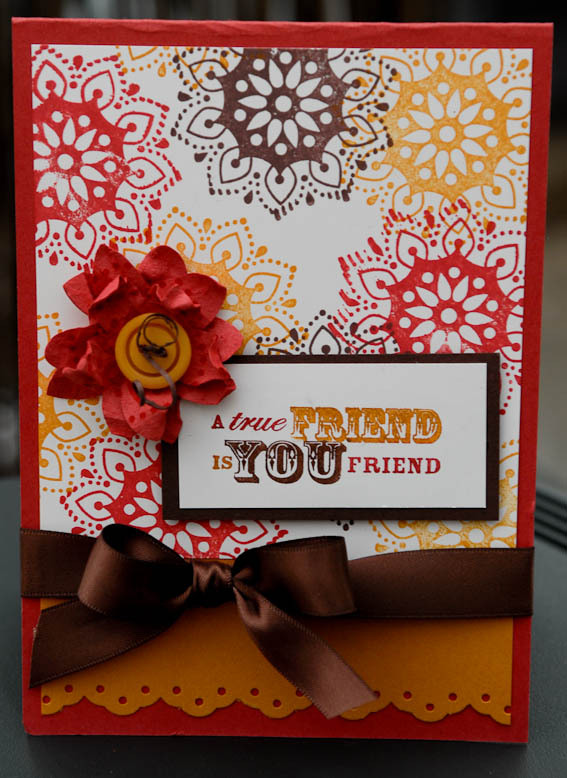 Hi Monica, you make so great cards! I will say "hello" to you on the Convention in London! 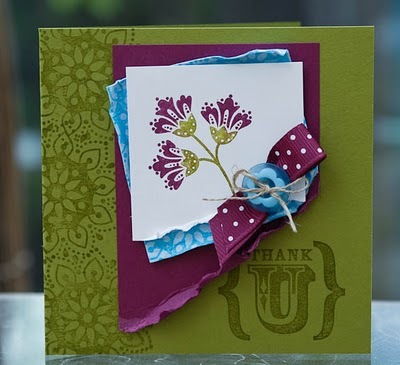 I love your card-art!